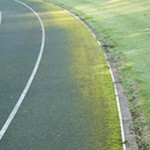 In our British climate, the growth of algae and moss on artificial surfaces is common. 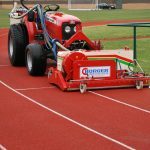 McNab Sport can spray hard surfaces to kill off moss infestation, letting it die back and then we brush the debris off the surface. 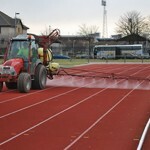 This gives fast and effective results on a hard surface. 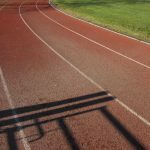 McNab Sport’s staff are qualified in the use of spraying chemicals and keep log books of each spray occurrence, and adhere to COSHH regulations, ensuring our projects meet client and legislative requirements. 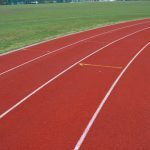 We can deep clean porous and non-porous rubber running tracks. 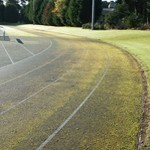 We also have the facility to line and repaint running tracks and other synthetic surfaces. Please call for more information on 01577 864198.